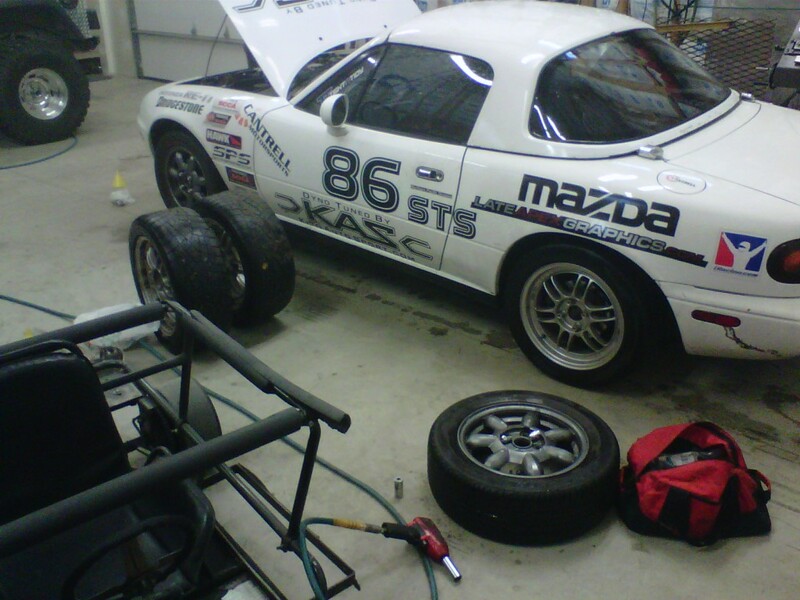 Project Kyoko: Getting dressed up for winter. Making the change from summer to winter. Not much going on: Just a brief update on Project Kyoko- So this afternoon, I spent some time mounting Kyoko’s winter shoes. They are OEM 14’s with used Bridgestone RE-960 on them. One thing I didn’t think about was because of the smaller tire size, they lower the car a bit, so now I have to be even more careful around large curbs and speed bumps. I also made sure to change her oil, while I had some time under the car. I’ll spend some time this winter up at our local outdoor karting track on the winter tires, just getting more comfortable with the car on untimed runs around the track. I’m sure other shinanigans will occur as well. 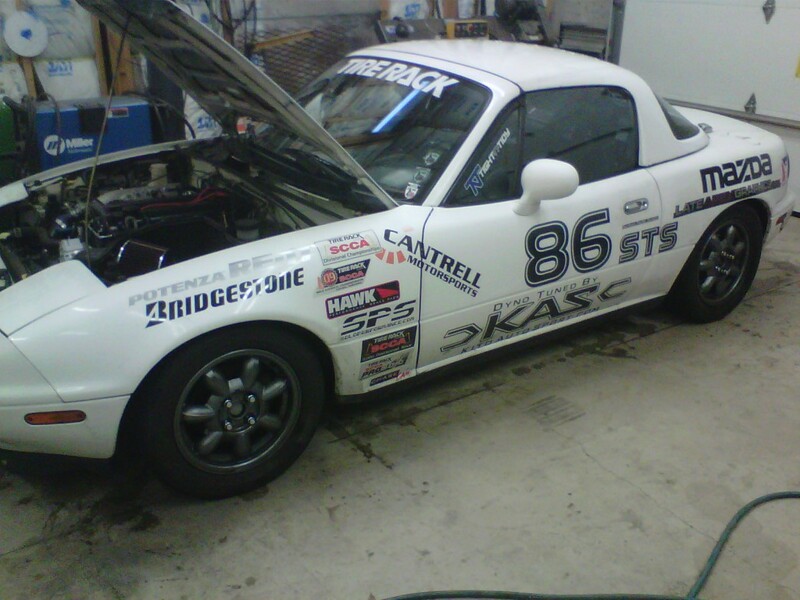 This entry was posted in Daily Driver Projects and tagged Mazda Miata, Miata!, Project Kyoko. Bookmark the permalink.